← Sunsets in September @ Oasis Texas Brewing Co. So I have been a drummer a lot longer than I have been a professional DJ. I started playing the drums back in 1994. My first band formed in 1996 in Austin. It was a funky instrumental psychedelic dub rock band called Big Breakfast. We rocked it until the wheels fell off in about 2002. Recently we got the core back together again for a yearly reunion and well….it was just so much fun, we’re doing it again. 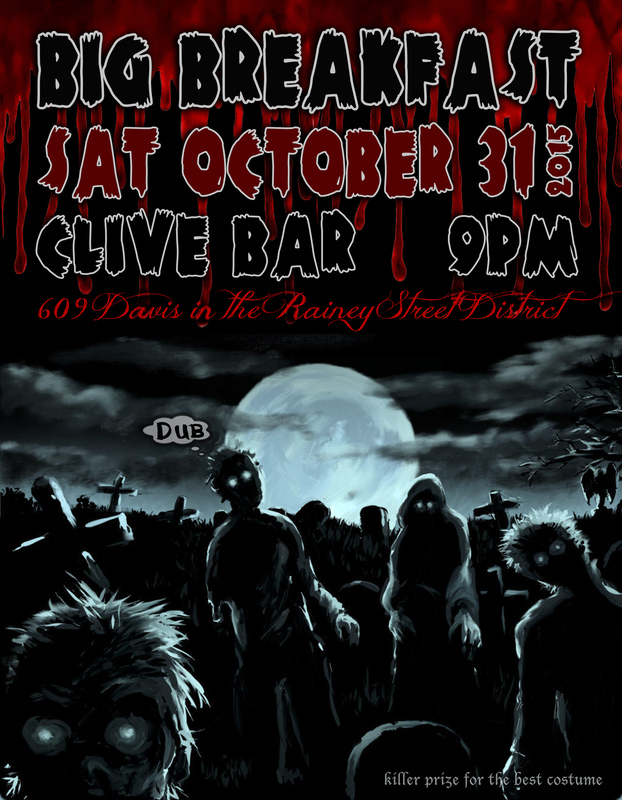 Join us on Sat Oct 31 at Clive Bar on Rainey for a Spooky Halloween Dub Smackdown. Or something like that. Dub music is pretty nice on Halloween. No cover. Killer prize for the best costume.